Invisibly record keystrokes, texts and chats typed on the keyboard for data backup and surveillance. Operate silently in the background to remain invisible in Windows Task Manager, Windows Explorer or the registry. Record every keystroke on your system and save them to a log file accessible exclusively to the admin. Records all keys pressed on your keyboard! You’ll be able to see each word typed in documents, emails, chat room activity, instant messages, search engine searches and even visited website addresses and URLs as well as used applications. In a word, it helps record virtually every action that occurs on the computer so you know what was typed, and who typed it. Keylogger Free can run completely invisibly without alerting a user that their computer is being monitored. If you need to discreetly monitor computer activities, you can make the program running in hidden mode – no trace of the software appears on Desktop, in System Tray or Task Manager. 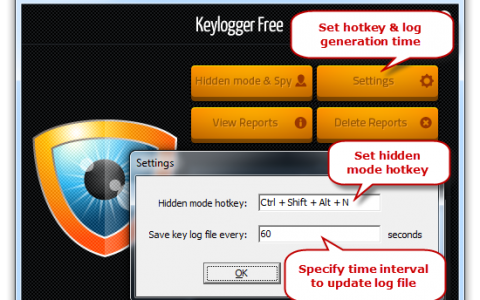 Keylogger Free can automatically generate full detailed reports. The log reports include the info of all keyboard activities & typing, date & time, filename, directory, application window, etc. It stores a continuous log even across multiple operating systems on one computer. You can set the time to automatically control the speed of log generation and delete the report as needed. Web activity monitoring is omnipresent nowadays. 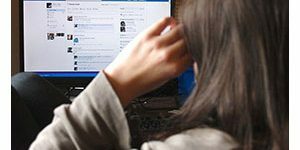 Trying to get a handle on what someone does when they are browsing the internet is a difficult task, especially when individuals now tend to clear browsing data from their computers. 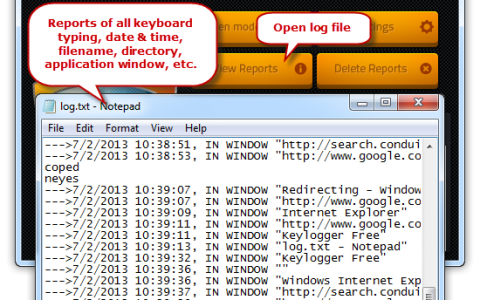 Keylogger Free helps record all websites people visited recently, including URL, site name, page title and time stamp. No matter which Internet browser is used, this free keylogger monitors every website accessed from your computer and you can trace their activities online without any hassle. 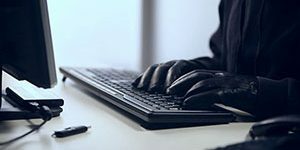 Keyloggers are software that record users’ keystrokes without users being able to see it or disable it. 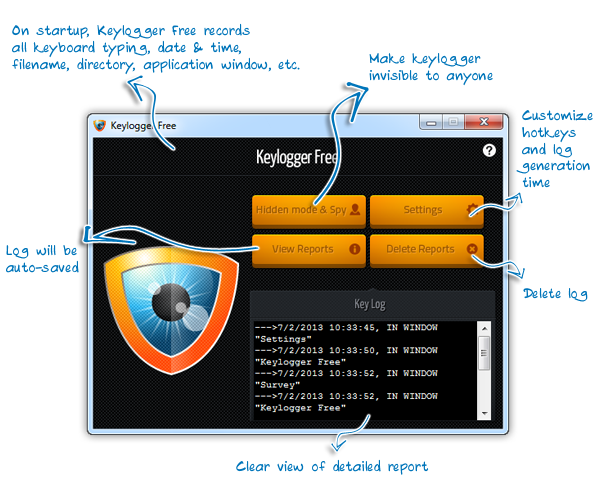 Keylogger Free is such a keylogging app that can track and record keystrokes, clipboard activity, Net surfing on individual PCs or networks. This free key logger software can record keystrokes typed in any chat, internet messenger or email client: user names, passwords, keystrokes, instant messages (MSN, AOL, GTalk, Skype, Yahoo messenger, ICQ, AIM, etc.). Now you can use this free keylogger tool to record both incoming and outgoing emails and then analyze & search them in Keylogger Free’s logs. 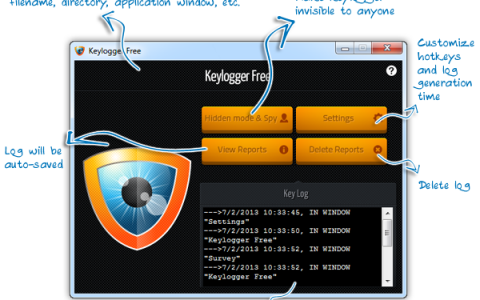 Keylogger Free provides invisible surveillance for large enterprises, middle-sized and small business. This free keylogger can monitor employee computer and internet activities, track employee work hours, analyze employee computer usage, detect and terminate all internal unfavorable factors to the company and protect confidential business information. You will always know about all actions performed by the employees or other people on the computers of your company. For parents, Keylogger Free works as a family surveillance keylogger to provide your kids safety. 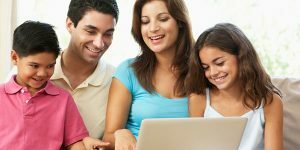 You will be able to find out what programs your children run and what they search online. Therefore, you can follow all communication via instant chat rooms, messaging software, e-mail, etc. to protect them from dangerous contacts. And don’t hesitate! You have the right to know, because YOU ARE A PARENT. What exactly is your spouse doing online? Are they viewing having a cyber-affair? Does your girl cheat on you? Keylogger Free is a free spouse loyalty checking software program that can help users record everything they do online to learn if your spouse is disloyal. It acts as a private investigator to help you find out whether or not your girlfriend, boyfriend, wife or husband is cheating on you when you are away by monitoring their activities on the computer. It is terrible that you lost important data typed in text editor, when your computer suddenly freezed and application aborted for no good reason. With Keylogger Free running, you will be able to regain the text you have typed during the day! If the user shuts down the computer before you have a chance to view the results, Keylogger Free offers the option to save the recorded data to a text file on the hard drive. 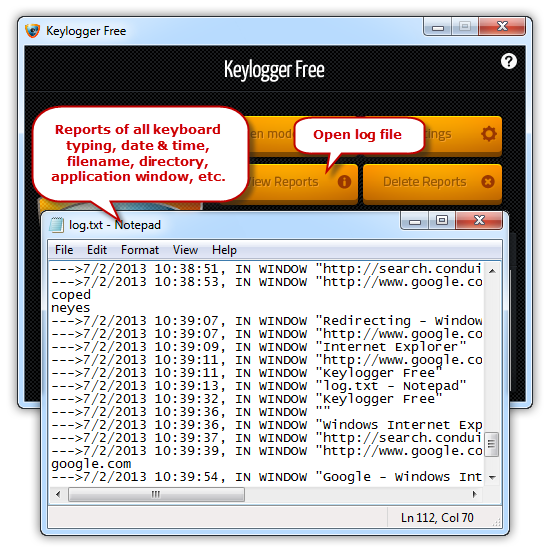 This free keylogger provides perfect monitoring results with real time log generation capabilities to generate highly professional log report of entire keystroke activities facilitating user to view details of what has been typed. 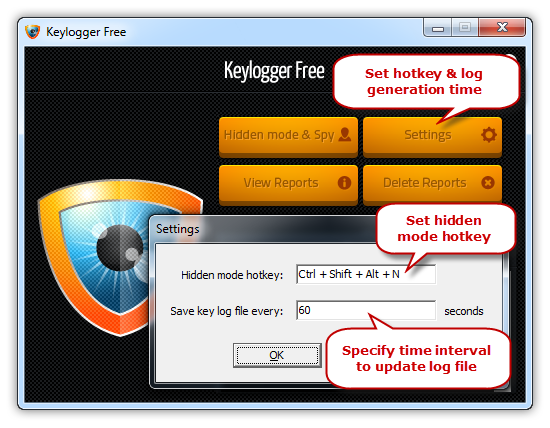 Keylogger Free supports complete hide/unhide features. A simple click will make it invisible. At the same time, you can use the default hotkey: Ctrl + Shift + Alt + N to make it visible on desktop when this free key logger runs in hidden mode. Of course, it allows you to set your favorite hotkey combinations. Keylogger Free is 100% free and safe for all computers. It comes without any disturbance of adware, spyware, malware and viruses. You don’t need technical knowledge or any experience related to use Keylogger Free. 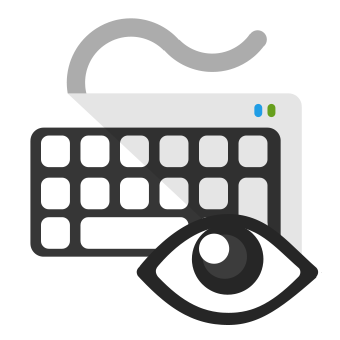 The hotkey function and the simple, straightforward user interface let you easily monitor your computer invisibly. Just as easy as a cup of coffee! Video Tutorial – How to Log Keys?